The HOBO UX90-004 Motor On/Off Logger is available in a standard 128 KB memory model (UX90-004) capable of 84,650 measurements and an expanded 512KB memory version (UX90-004M) capable of over 346,795 measurements. NOTES: Requires HoboWare software for Configuration/Download. Please purchase via the Recommended Products section (below). 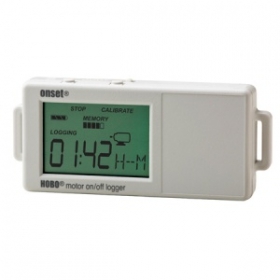 This model is the upgraded replacement for the U9-004 Data Logger.